L'oreal is 40% off at rite aid rite now and there are also coupons from red plum and I found a tear off pad in store. I picked up two infallible eyeshadows in: strawberry blond (A pearly shade with a rosy undertone and pink sparkles) and Amber Rush( A rosy copper shade). 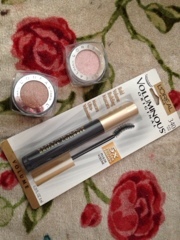 I also got the L'oreal Voluminous mascara with the curved wand. The wand is not plastic and more of the real spoolie kind. Don't forget everything L'oreal is on sale not just eye products. I might be going back for more shadows or lip products! 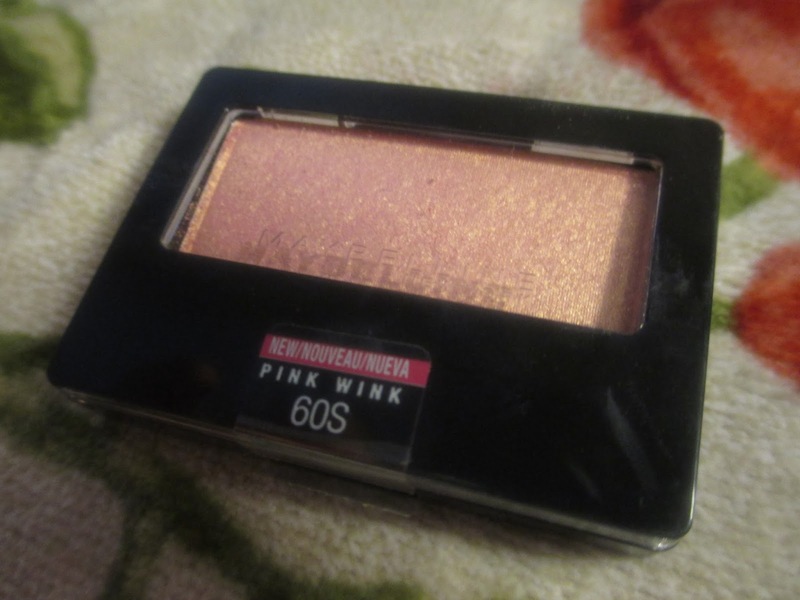 If you haven't noticed Maybelline Re-packaged all their eyeshadows and wrote "new" on all of them so I picked up a color I hadn't seen in the old packaging and decided to try it out. It was about $4 for a single shadow, same price as before. I originally saw this at walgreens but now even RiteAid has switched over. The packaging is sleeker in a flat square shape but stills has a clear part showing the color. The one I got is Pink Wink! The back is nothing special, it just shows you that this is meant as a lid color. This view shows the gold duo-chrome effect. Here shows the pink shift in color. Here is a slightly layered swatch. 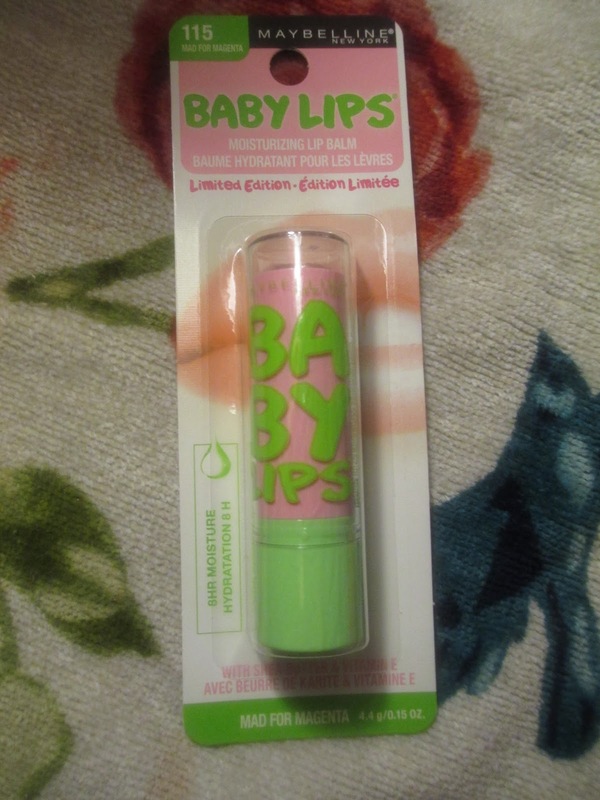 Maybelline has a new line of baby lips out for spring this year there are 5 new shades limited edition to only this season. The collection is pinked, meaning varying shades of pink balms. They are around $5 each. Today I am reviewing my favorite shade, Mad for Magenta. Here is the packaging which reassures you no one has tested it. These are infused with lip moisturizing qualities and claimes "better looking lips". 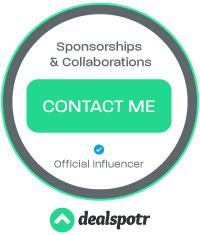 You get TONS of product so you might not need a ton of backups. The swatch is not near as intense and it seems in the tube, so don't expect a bold magenta lip. On my lips it adds a slight pink tint, and a lot of shine. Here are two products that claim to do the same things, but with a $15 difference in price. 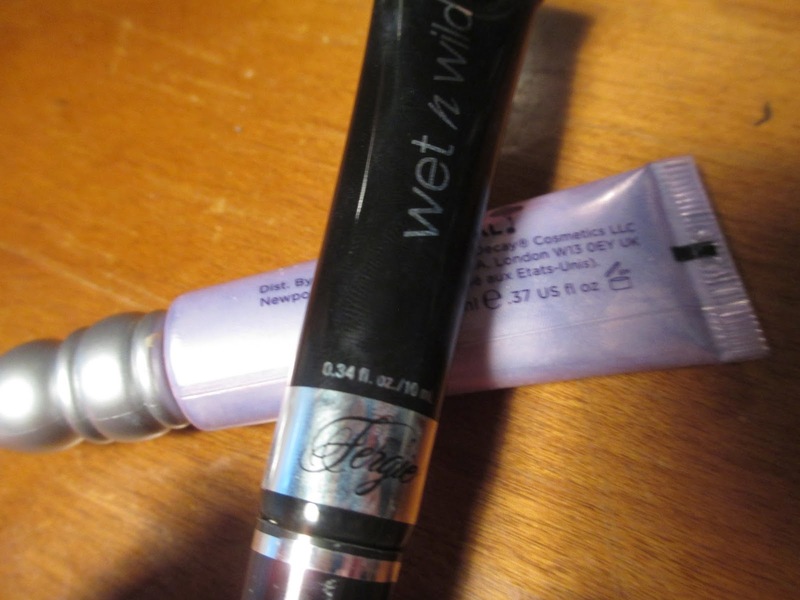 The Wet N' Wild Fergie Eyeshadow Primer ( I found mine at walgreens for $4.99) and the Urban Decay Primer Potion ( $20 everywhere this brand is sold). These have been compared many times but I still would like to offer another opinion. When you first look at them the urban decay tube seems to be bigger. The actual size comparison is UD (.37 OZ) and Wet N' Wild (.34). Not as a large difference as it appears. The cap is a lot bigger and fancier on the UD than the wnw. But the actual opening is the same size and same function. The top is the UD and the bottom is the wnw. My UD is starting to separate because I have had it for about a year. But both have the same shade. 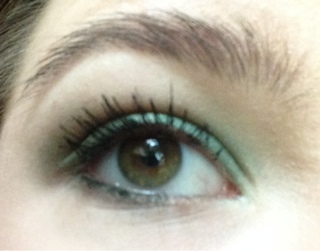 Blended out the UD is waterier and more silky. And the WNW is more tacky and sticky. I bought my first actual beauty blender a few weeks ago and I am here to share my thoughts...is it worth the $19.95 for a sponge? It comes in its cute little tube with its allure award sticker on it. It says Submerge in water, towel dry, and dip into makeup then stipple onto face, and allow it to air dry on top of the container (it has an air hole) and then clean it between uses When you wash it and let it dry a little bit becomes too big for its container. Then, I dab out some foundation onto the back of my hand, and dab the beauty blender into the product Here I am just stippling (dabbing) the foundation onto my face. 3. 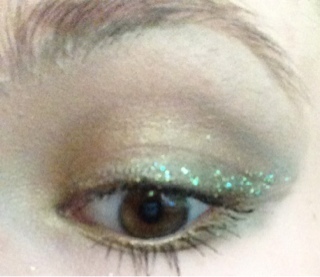 Blend an olive into the crease, I used It Cosmetics Mocha. So in my Beauty Favorites of the year I mentioned this. 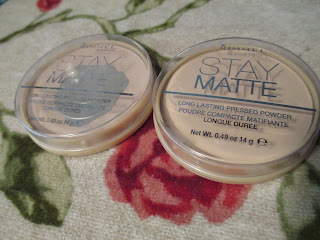 It is only about $4, sold everywhere and also all Rimmel London is 50% off at Walgreens! Here are the two that I own. One I am almost out of so I bought a new one (Accidentally in a different shade). which doesn't stay imprinted very long. It is a silicone and talc powder. It has a claim of up to 5 hours of shine control, and claims to reduce appearance of pores. The two colors I have shown are Natural 003 (Neutral Pink tone) and Creamy Natural 011 (more yellow toned). The tools I like to apply this with are my elf complexion brush for a light application. My favorite scrub is this one I get at either tjmaxx or ross for $3.99 about... 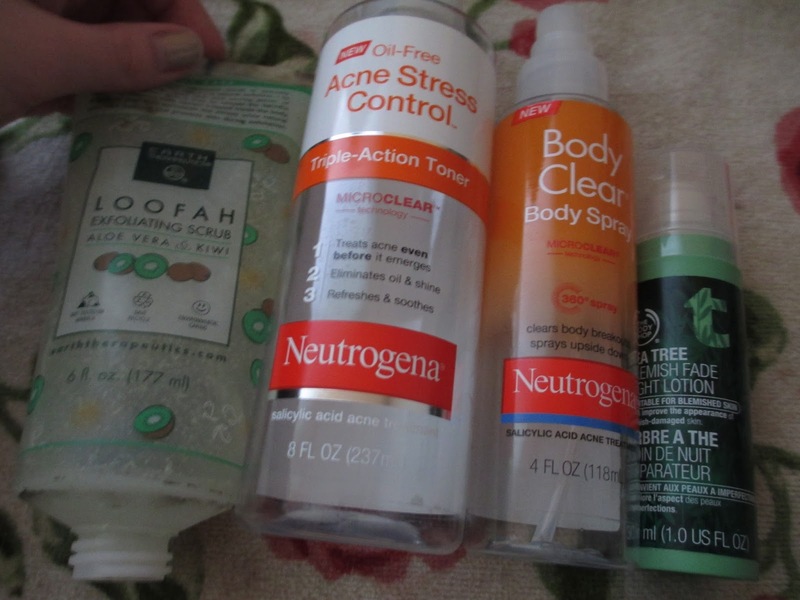 I have a peach one in my shower now and a oatmeal honey one as backupNeutrogena acne stress control toner. This was ok, kinda pricey for the drugstore. Might repurchase at one point, but now I am using one for sensitive skin.Body clear spray to keep any back-acne away..I didn't like this. It takes a while to dry and it didn't do anythingAnd an empty tea tree blemish night lotion; love this! Was in my February favorites (to find out more).